Bernie Sanders is not only the first candidate running for the 2016 presidency to reach one million contributions, but his campaign has reach this milestone earlier than any presidential candidate in history – the goal was last achieved by President Obama in October 2011. Last quarter Sanders campaign raised $15 million in only two months with average contribution of $34 and 99% of contributions amounting to less than $250. Sanders makes use of the popular site Reddit, a collection of forums, to raise money. His subreddit is the largest of any presidential candidate and boasts more than 110,000 members. To show their enthusiasm today, as the deadline approached, members of his subreddit posted screenshots of their donations as encouragement for others to do the same. 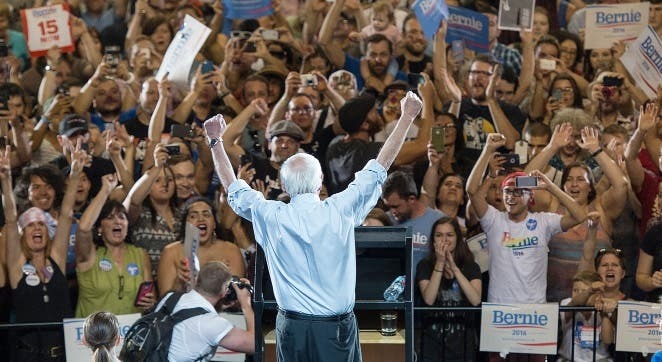 Bernie Sanders’ campaign is truly a grassroots movement founded on the powerful message of economic popularism – the idea that establishment economics is not working to help the poor and the middle class. As Bernie Sanders gets the message out, more and more people from Maine to California are ‘feeling the bern’ as evidenced by this truly amazing milestone that the Sanders campaign reached today.